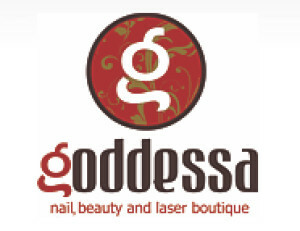 My Appointment | Goddessa Beauty | Book appointments online hassle free. A woman of extraordinary beauty and charm, who is greatly admired and adored. Set in the heart of the Sandton CBD in Johannesburg, the Goddessa nail and beauty boutique offers an upmarket space to relax and pamper yourself. Our highly trained and experienced staff uses only the best products, including Essie, OPI, Rapid Lash, and NSI. We also have a clothing boutique, POSH, in the same space where you can browse exclusive women’s clothing and accessories imported from Turkey and Italy. CRYOTHERAPY at GODDESSA is the latest technology for natural non-invasive face treatment which uses a controlled stream of cold. Cryofacial are seen in Los Angeles and New York ,where it was developed, as a pre-event face lift. * Thickening hair volume of eyelashes and eyebrows.